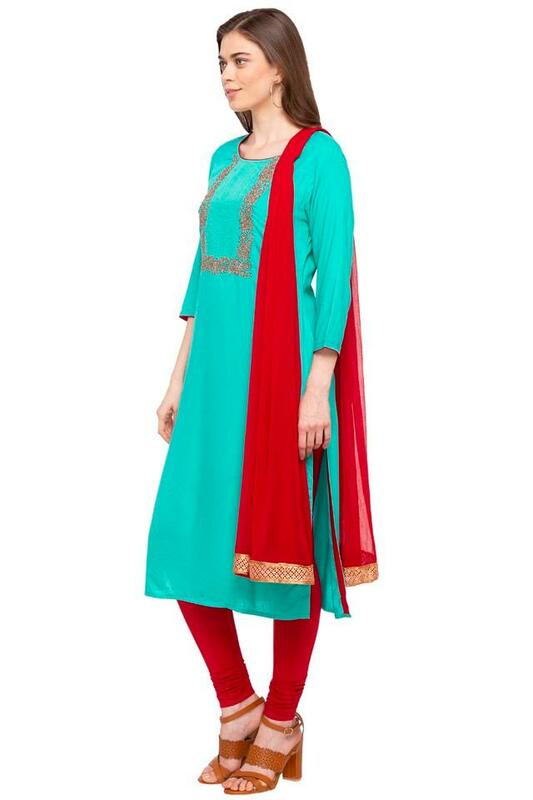 Nothing feels more stylish than wearing this churidar suit from Imara. 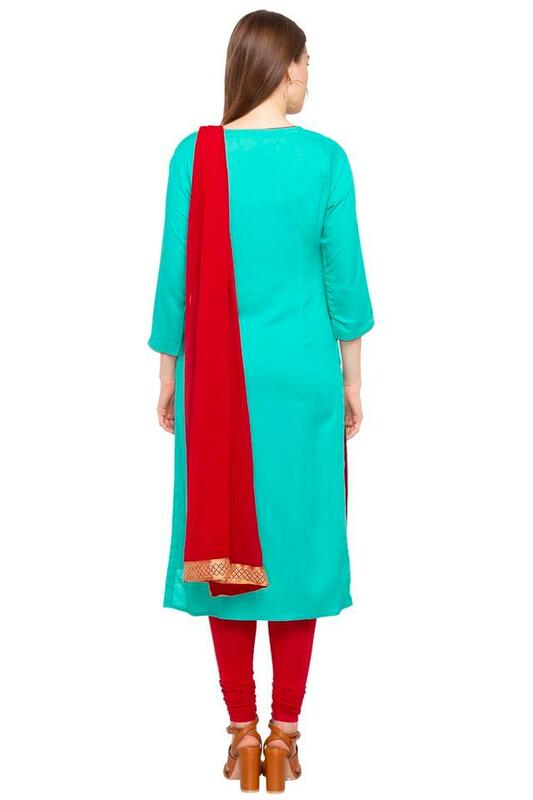 The kurta is featuring a round neck, floral print and three quarter sleeves that add to its design, while the solid dupatta and a pair of churidar complete the suit. Besides, it has been made of good quality fabric to keep you at ease all through the day.